Hello everyone, how are you today? Can I ask you a simple question – have you ever felt someone else’s pain or sensed the shift in energy in a room without knowing what caused it? Well, if your answer is yes, then you might just be an Empath. And, this means that you should take the Empath test below and see how many of the following Empath traits you resonate with. Here’s what you need to do – for each statement, give yourself a “0” for never, a “2” for sometimes, and a “3” for always. 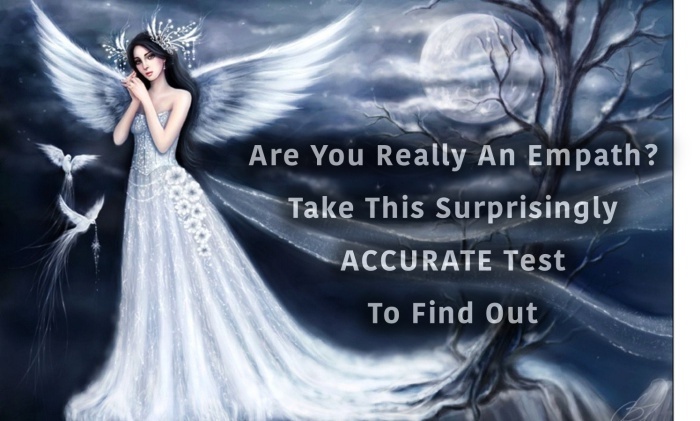 If your score is 0-25, then you have some Empath traits, but wouldn’t be considered a true Empath. It’s important to make sure that you still take care of yourself and don’t let yourself get overwhelmed, but it’s likely you are pretty balanced between helping others and setting good boundaries. You are an “extreme Empath,” as I would call it. You have the ability to soak in others’ emotions without consciously knowing you are doing so. You sense the “vibe” of a room or place without visual clues (such as tears, yelling, or slamming of doors). More importantly, if you are scoring this high on the Empath Test, then you are extremely open to the pain and suffering of the world, and you likely get overwhelmed by trying to do too much or help too many people at once. If you don’t get some tools and resources to help you, these extreme Empath traits can cause you to get very sick (chronic fatigue is extremely common among Empaths who score like this and don’t have the tools to take care of themselves). Please consider joining the Empowered Empath Academy (below) to learn how to turn your empathic senses off and on in order to be healthy and happy yourself.